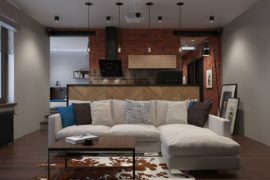 Creating a spacious and open living area is not just about having a really large home with plenty of square footage to spare. 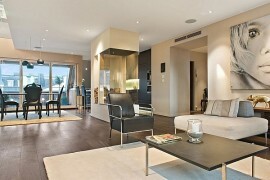 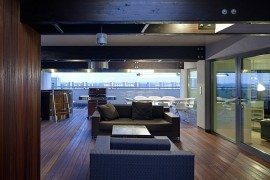 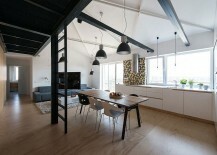 In fact, it is has more to do with how you use the available space and craft an uncluttered and inviting setting. 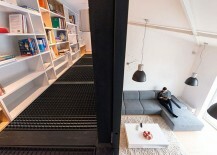 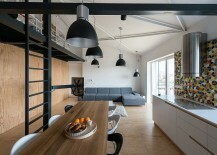 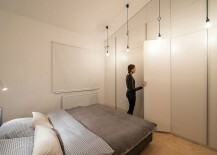 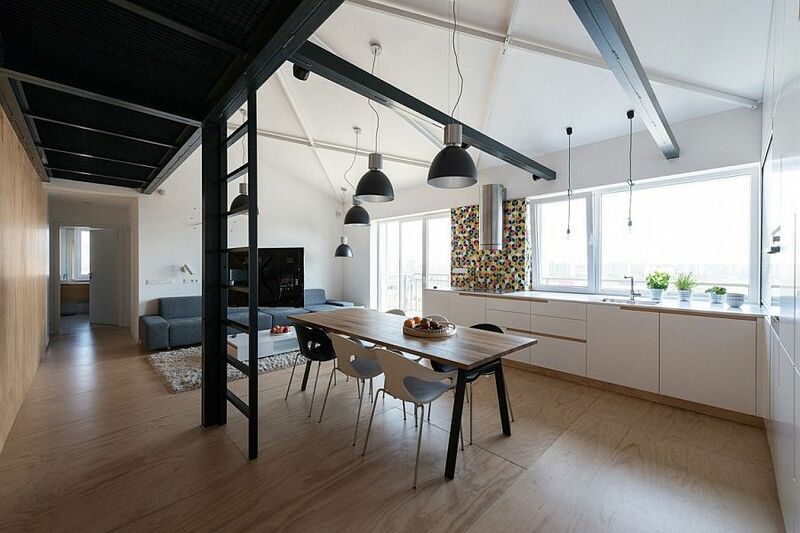 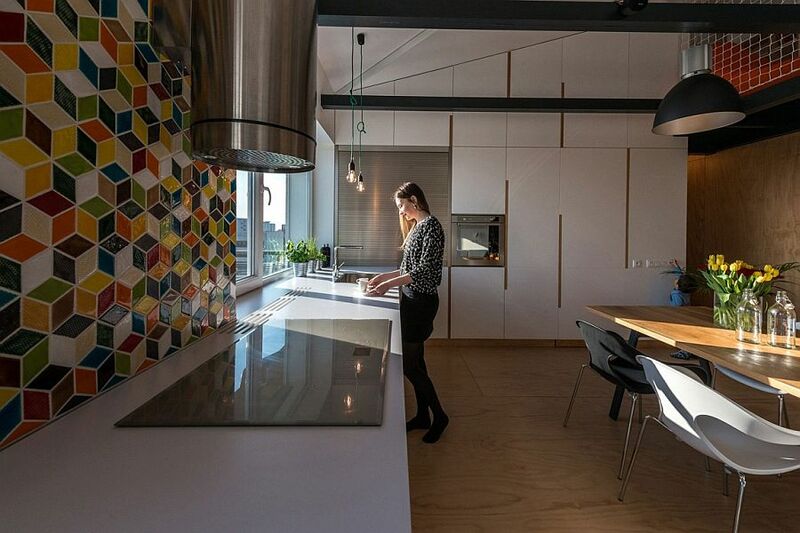 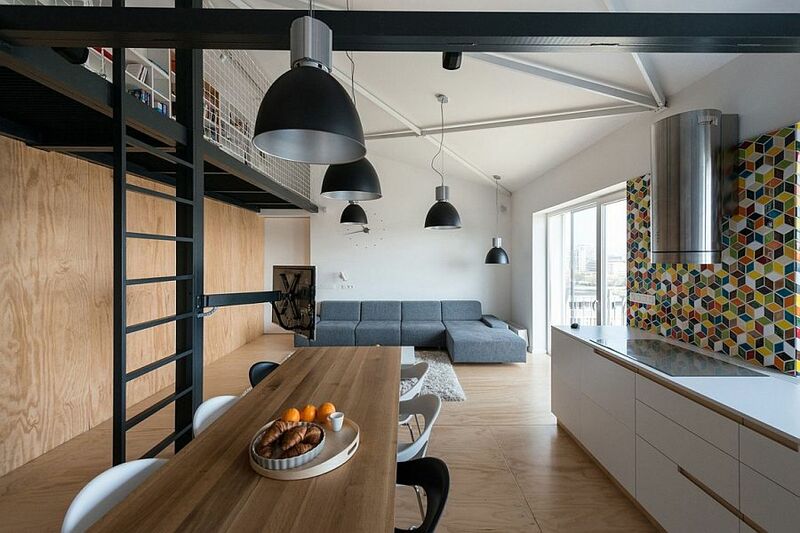 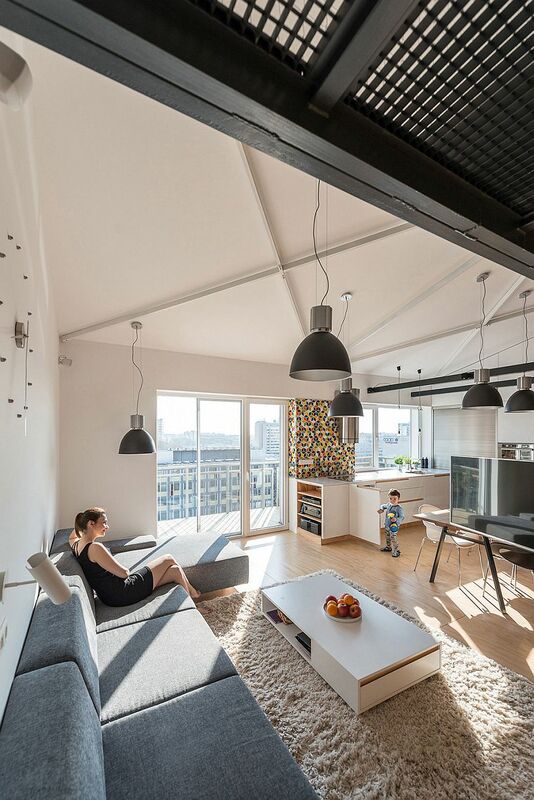 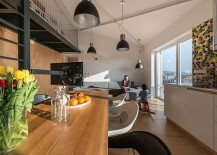 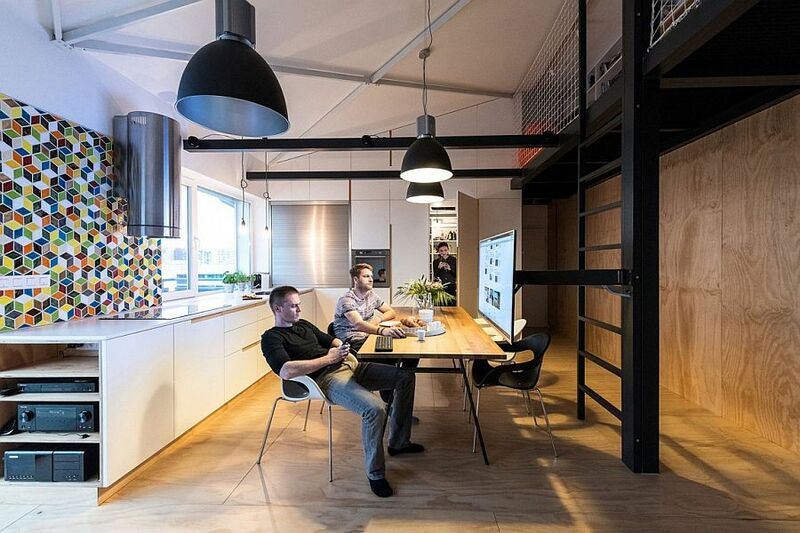 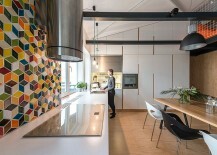 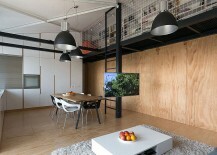 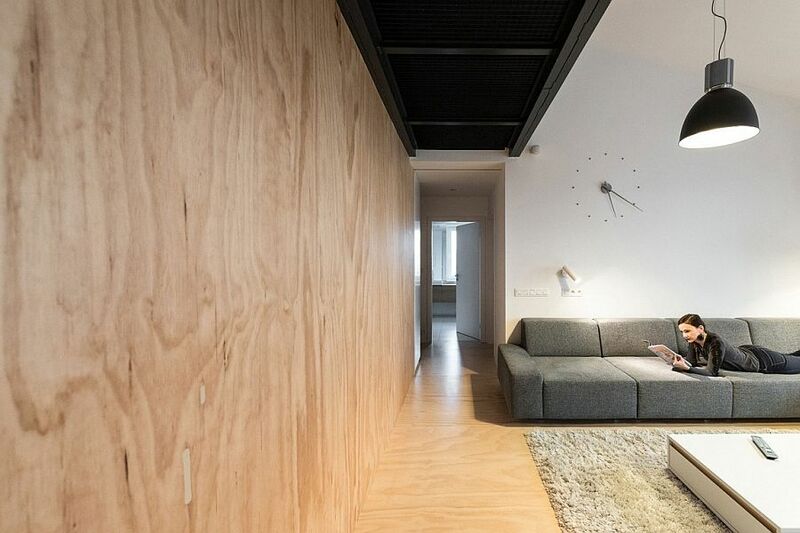 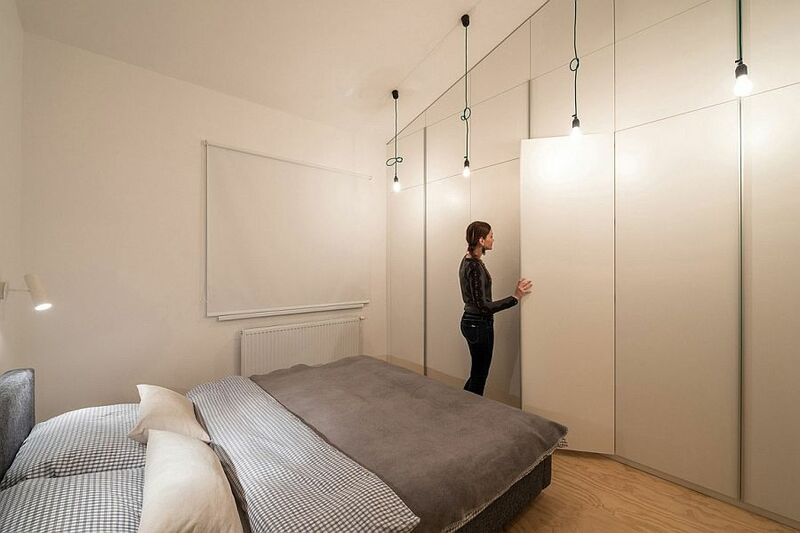 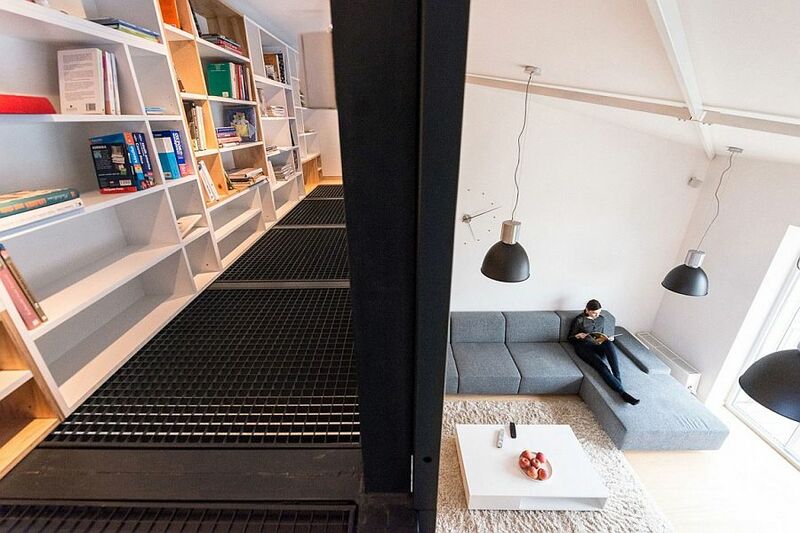 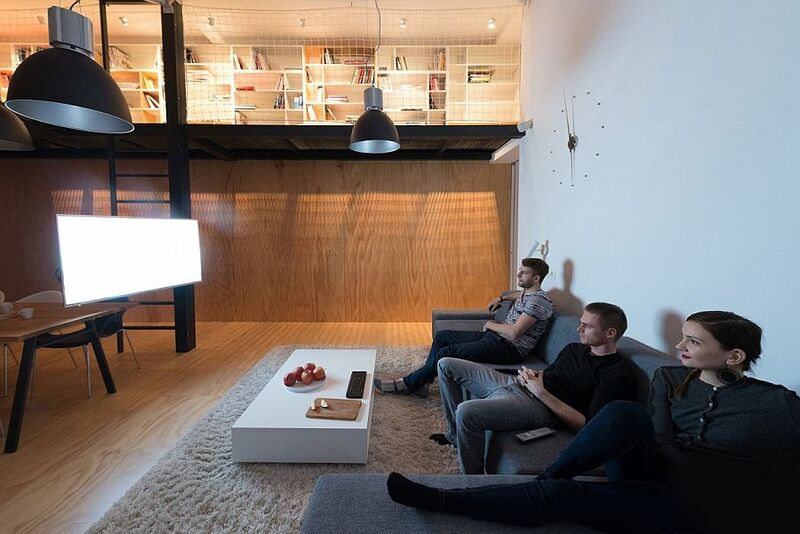 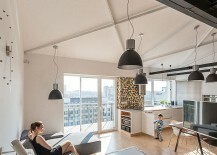 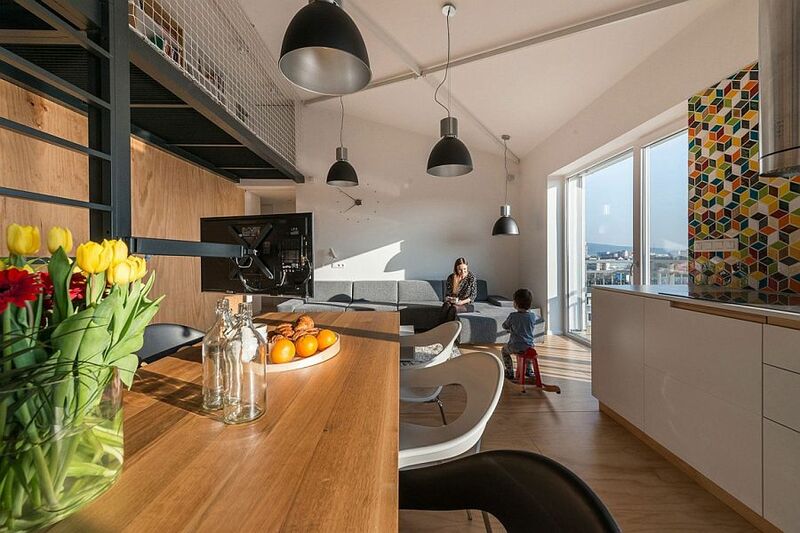 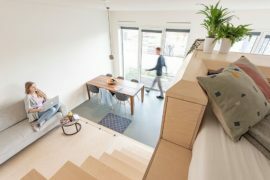 Located in Bratislava, Slovakia, this lovely loft apartment does precisely that as it turns a small living zone into an inviting social hub for the entire family without actually using walls to delineate various areas. 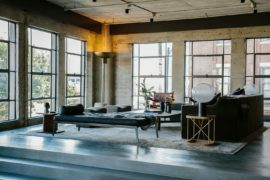 Bringing a modern industrial style to the apartment is its neutral color palette coupled with industrial-style pendant lighting and an innovative mezzanine level. 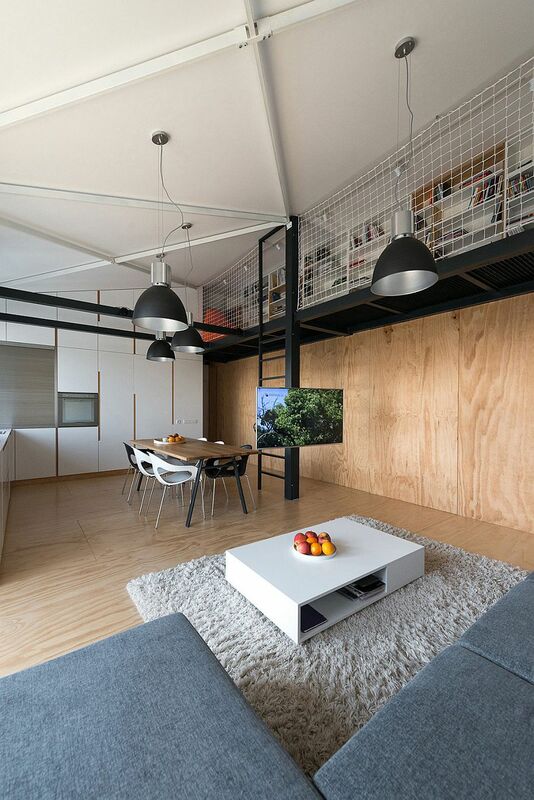 Conjured up and brought to life by RULES Architects, the Loft Apartment in Superstructure contains a distinct daytime zone with the kitchen, dining room and living room, and a cozy night zone with two bedrooms and bathrooms. 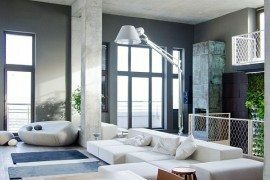 Décor inside the apartment is kept minimal and unassuming, with a plush sectional in gray stealing the spotlight in the living area. 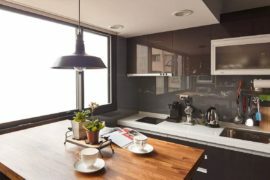 A custom TV bracket in the living room revolves freely to serve both the living area and kitchen, turning the dining table into a multimedia zone! 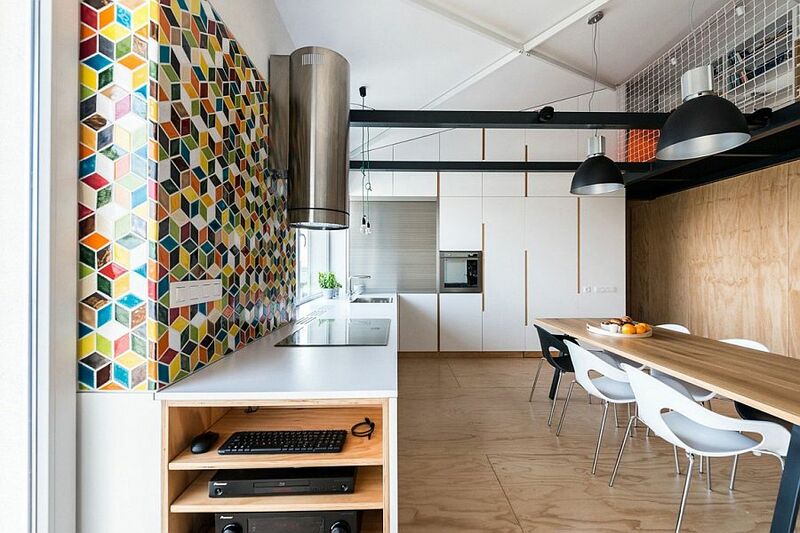 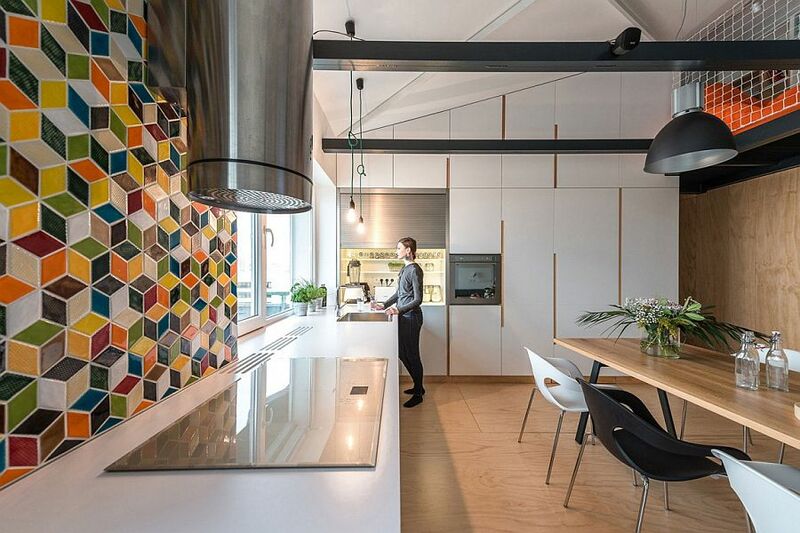 Tailor-made kitchen shelves, a colorful tiled kitchen backsplash and a wooden accent wall complete this level. 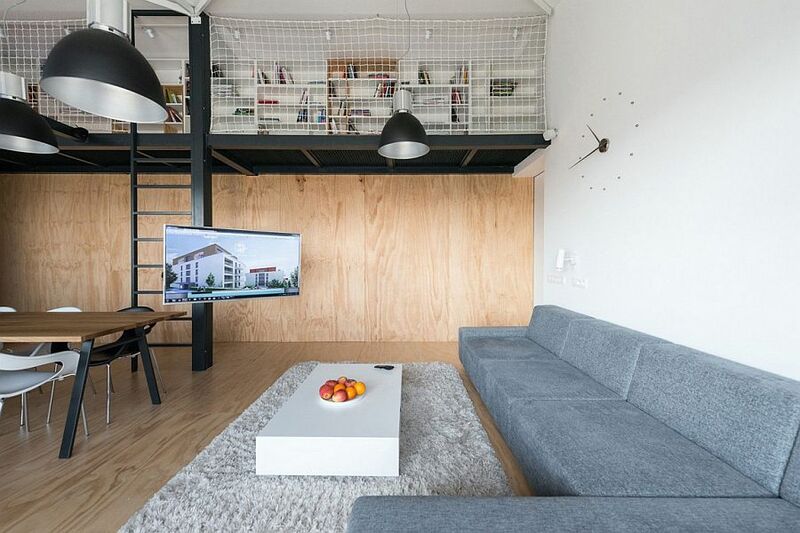 The mezzanine level contains a home library with a series of bookshelves and provides a secluded reading nook for book lovers in the family. 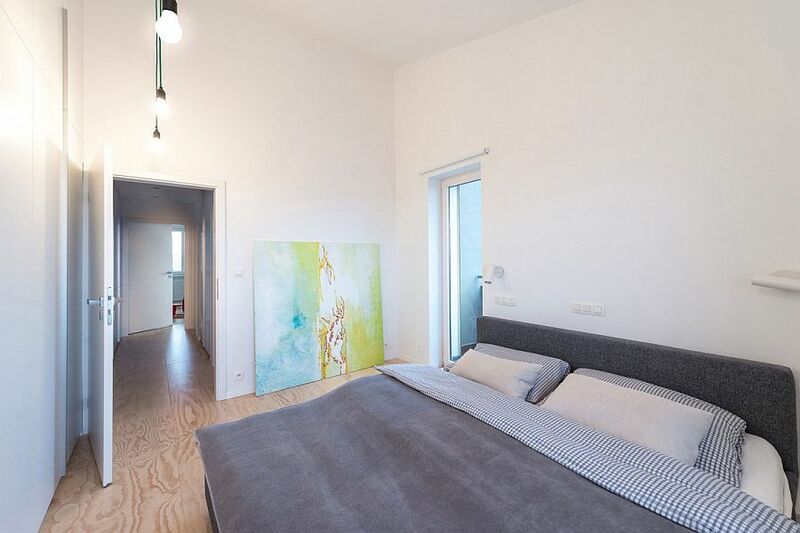 Cozy and minimal bedrooms in white and gray complete a loft where clever space-saving features, smart design and an organized floor plan transform the otherwise limited interior into a cheerful and contemporary hub. 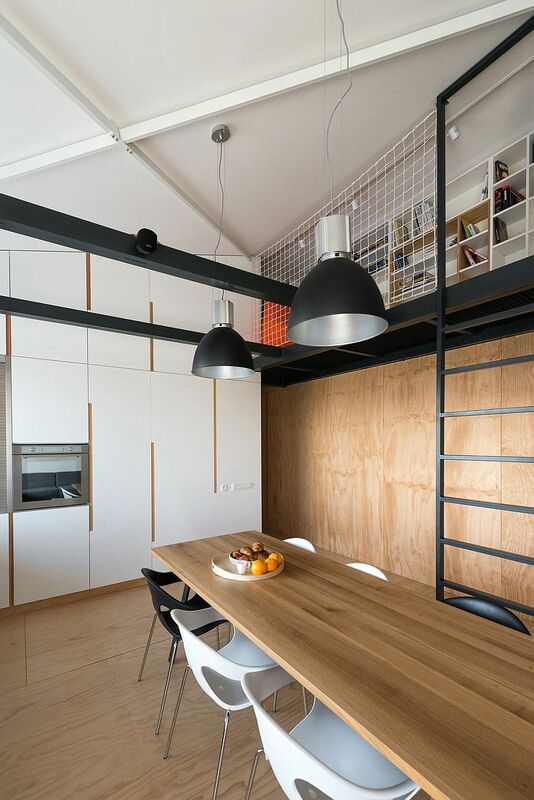 Using the vertical space on offer to the hilt, this is a loft apartment that places emphasis on functionality and frugality.